The host for this year’s meeting are three of Harvard University’s museums – Harvard University Herbaria, Museum of Comparative Zoology, and Peabody Museum of Archaeology and Ethnology. While IPM has been a long-time component of these historic museums’ preventive conservation programs, this is their first time hosting the IPM Working Group (IPM-WG). We are grateful for their willingness to provide a welcome meeting space. As always, the IPM-WG meetings are designed to help institutions with active IPM programs by bringing individuals together to tackle projects related to particular pest-related challenges. All information resulting from these collaborations are placed on the MuseumPest.net website for the benefit of the cultural heritage community. The program is scheduled for 2.5 days, beginning the afternoon of March 14th, with optional tours held across several locations within Harvard University, including collections tours where participants will have the opportunity to take a look behind-the-scenes. The following two days (March 15-16) will revert to the traditional IPM-WG schedule focusing on further development of the online content for the MuseumPest.net website. Short 5-10 minute presentations by participants on IPM-related activities and/or projects at their home institutions are interspersed with the work sessions. If you would like to present to the group, please indicate your interest when you RSVP for the meeting. RSVP’s will be accepted through March 1st, 2018 or until spots are filled. Priority will be given to returning participants on a first-come, first-served basis and to new participants who are actively involved in an IPM program in their institution. 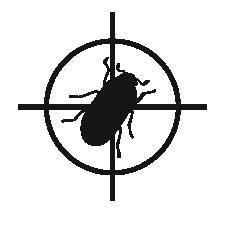 Please note: The IPM-WG meetings do not teach IPM and are only appropriate for individuals working with an active IPM program. For more information on establishing a program, please consult the MuseumPests.net website.